About this magazine: Catster, formerly Cat Fancy, will contain touching and inspiring stories and photos in For the Love of Cats. 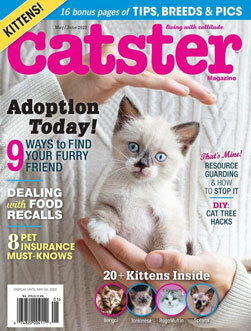 Catster is full of the tips, advice, and news you need to help keep your cat happy and healthy. Features include: Cat care and wellness in its "Body and Mind" section; Gotta-know info for pet owners in the "Help Wanted" section; Style and wit in Life with Cattitude; Fascinating breed briefs in the "Who's That Cat" section.